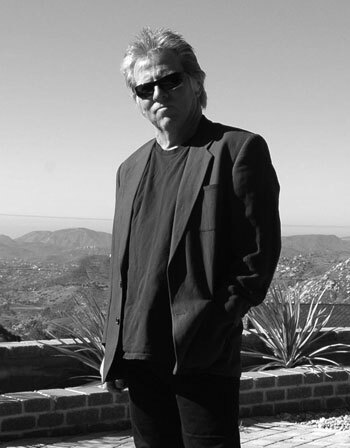 I’m excited to have Best Selling Kindle Thriller Author John Avery on my blog today. He gives a fascinating look into creating thriller villains and some insight why we “love” to hate them. You’ll learn about Avery and the bad guys he develops with his writing. On Writing – 5 top qualities that make a good villain great. 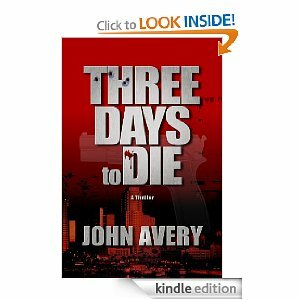 During the few brief months since its publication, I’ve been fortunate to receive some great reviews for my debut thriller, Three Days to Die, helping to propel the novel to Kindle-Bestseller status in late 2011. One of the things many of these reviews have in common is that the readers not only loved my heroes, they also loved my villains. And because I spend a lot of time constructing my bad guys, this makes me very happy indeed. So, what exactly does it take to make a good villain great? In this article (using excerpts from actual reader reviews of Three Days to Die) I will summarize five top qualities that I believe your villains should possess – if you want them to be great, that is. I opened with this review because the overriding quality a villain (or any other character for that matter) must have is that he/she be believable. In other words, the reader must believe him to be the real deal. In the above quote, the reviewer made a point to say that the villain in my story was a ‘real flesh and blood person’. Now, that’s what I like to hear! That’s what I work so long and hard to achieve! Villains are way to important to the success of a story to allow the reader to doubt their authenticity – not even for a moment. It always spells disaster for your book. To really grab a reader, your villains must elicit at least some degree of empathy (understanding and sharing the feelings of another) and at times pathos (a quality that evokes pity or sadness). It is much easier to pull the reader in and hold her when she cares about your bad guy, and even sympathizes with him or feels sorry for him. This is what makes reading a well-crafted book so entertaining. Three ways to instill empathy and pathos in your villain are through 1) his/her dialog, 2) the other characters’ dialog, and 3) the judicious use of backstory (the background information that promotes fuller understanding of a character). What your villain says goes a long way toward hooking your reader, but it is what the other characters say, and what you, the writer, say about your villain that will either sink the hook deeper, or snap the line. No matter how cold, calculating, mean, or horrible your villain is, it is important to allow him to experience emotion. How does he feel when a robbery goes wrong, or when his girlfriend is gunned down in cold blood? What goes on inside him when he’s ‘working’ at his ‘profession’? Why is he falling in love with his next victim? Why hasn’t he told her? It is tempting to create villains that are as cold as ice. They are scarier that way, right? Not necessarily. By creating villains that exhibit a total lack of emotion, you may miss an opportunity to engage the reader on a deeper, even spiritual level – which is what you want if you hope to create a page-turner. Nothing can help your villain succeed as a character more than to surround him with a convincing, richly detailed, character-appropriate social environment. For example, in his classic book, Silence of the Lambs, Thomas Harris artfully places his villains in environments so horrifyingly believable that it is impossible to think of them as anything less than grotesquely real. Whether it’s starvation, poison darts, guns, knives, potions, fangs, lasers, or simple psychology, the thing that makes your villain a villain should make sense for him, as well as the story. Be sure his evil plans fit his personality. Would he really hang his boss from a tree? Or throw him out of a skyscraper? Or would he simply shoot him in the back and move on. Also, don’t be hasty choosing your antagonist’s weapons. For instance, if your villain is a Russian spy, you might assume you’d be better off not handing him a medieval, long-handled, double-bladed axe; but don’t be too sure. Take your time with this. Have fun with it. Is there a crossbow in your villain’s future? You may surprise yourself and your readers when you come up with the perfect evil plots and weapons for your villains. So, when creating your next villain, incorporate these five techniques and he’ll less likely suffer the indignity of ending up as a vapid cliché – little more than staged conflict for your protagonist. Remember this as you write, and you will find yourself crafting better villains – baddies that will draw your readers in and make them want to grab a machete and join the fight. 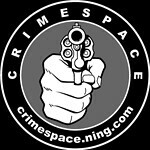 This entry was posted in Guest Post and tagged author john avery, crime fiction, three days to die, thriller, writing. Bookmark the permalink. Fascinating and very informative!Thank you both!! Excellent points! A great villain definitely makes a story. What would the hero have to be heroic about without a great villain to challenge him/her to the fullest? Great article! Sometimes it really is the simple things that make a villain great. Would love to hear your advice on a great protagonist.